What makes a good sea trout river? This question may be taken in two ways. Does it relate to a river's suitability as a sea trout producing river or as a sea trout fishing river? Naturally, to be a good sea trout river, in any sense, a river must have the capacity to produce a good stock of sea trout but not all sea trout producing rivers make good sea trout fishing rivers. 1. They would be free of any major obstacles to allow the easy passage of returning sea trout. This would include barriers, nets, estuary pollution, predators, anglers etc. 2. They would have an abundance of accessible spawning and nursery streams with suitable spawning gravel and clean water. Although likely to be acidic and lacking in trout food, they would have a steady supply of clean, unpolluted water but not prone to excessive winter flooding. It would be preferable if the spawning conditions were less suited to salmon so that the trout/sea trout would face less competition for space on the spawning and nursery streams. 3. They would be relatively free from predators e.g. sawbill ducks, mink, eels etc. 4. They would likely be fairly acidic, barren waters, but with an extensive system of nursery streams, able to sustain a large number of juvenile trout but unable to support a similarly large stock of good sized brown trout, thus providing an incentive for the majority of young fish, particularly the females, to run to sea in order to find food. 5. The sea trout smolts would have a free, unhindered passage on their seaward migration, with a minimum of predation, pollution and obstruction. There should be no salmon farms within a hundred miles of the river mouth. 6. There should be rich marine feeding in the vacinity of the river mouth with a minimum of exploitation of the sea trout's prey species, in particular there should be no netting of sandeels. Sea temperature, which may now be rising, may also play a part. 1. It should be generally accessible to all and reasonably priced. 2. It should be well managed, maintained and policed, preferably by well qualified keepers. 2. It should have a good number of deep holding pools, throughout its length, with plenty of tree cover, not so much for fishing but to provide sanctuary for the sea trout, particularly during daylight hours. 3. 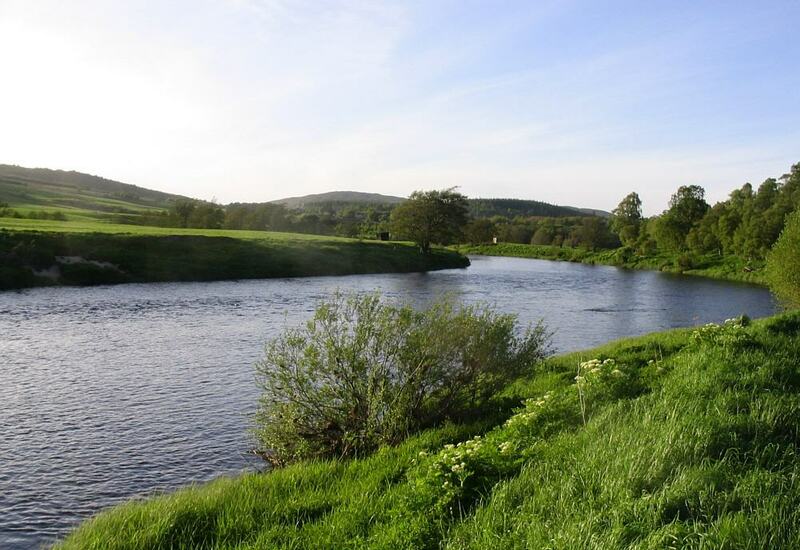 Even at summer low levels, it would have some streamy water suitable for fly fishing - not rough water but with enough flow to fish a fly without the need for handlining. This streamy water may be quite shallow, even a foot of water can hold fish at night. This streamy water would ideally lie near some deeper holding water. 4. The river would flow through a series of "pools" over a varied bed, with a mix of large stones, shingle and gravel. The pools should have good tree cover. 5. The river would not be subject to flash floods, all too common nowadays with the afforestation of the upper catchments of many rivers. It would clear reasonably quickly after summer spates and would have a minimum of weed growth of the kind now common in rivers where an excess of agricultural fertiliser leaches into the river. 6. Ideally, the river should have an entirely natural flow, with no man-made obstructions, no hydro-electric schemes and no water abstraction of any kind.